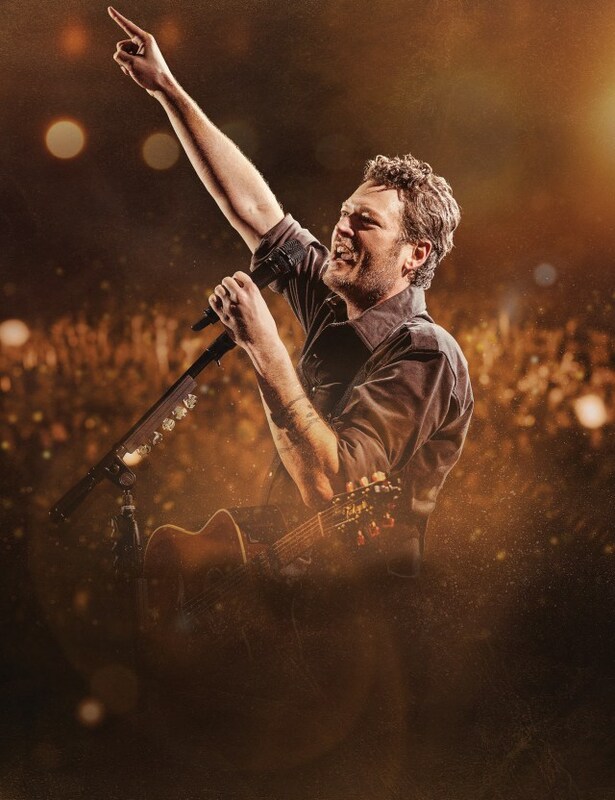 Whilst I have followed Blake Shelton's music over the past few years I have never really been a huge fan of his so after feeling a little underwhelmed by his last album I was considering not purchasing Blake's latest release, November 3rd's Texoma Shore. It was actually lead single I'll Name The Dogs that initially tempted me back in and, after listening to a few clips of other tracks, I decided to purchase the album and I am certainly glad I did. 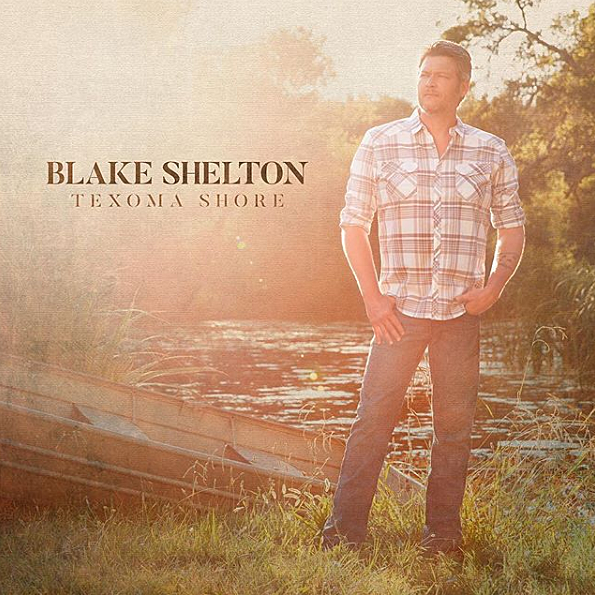 Texoma Shore is pleasantly surprising and is quite possibly Blake's best album yet. Whilst Blake has said in multiple interviews that this album isn't as personal as 2016's If I'm Honest it actually feels more so to me, he seems to really connect with each track and really draws the listener in. There are a myriad of strong songs here but as I mentioned, it was I'll Name The Dogs that first drew me to this release. Full of clever song-writing and a strong catchy melody, the track at it's core is distinctly listenable, with Blake's smooth vocal bringing everything together. I'll Name The Dogs is certainly a great choice as the lead single and is one that is already very popular amongst fans old and new. Arguably the most stripped back track on Texoma Shore, album closer I Lived It sees a reminiscent Blake deliver a track that he had no hand in writing as if it was completely autobiographical. A very relatable song at heart, I Lived It has already connected with a lot of listeners and manages to sound well thought through and controlled as well as very natural, I imagine it would be a really lovely moment to hear this within a live concert. Got The T-Shirt has a very different feel but is equally as appealing. There's a sadness behind the song that offers an interesting dynamic without becoming overwhelming and, oddly, this sadness has actually contributed to making Got The T-Shirt one of my favourite tracks on the album. It is undoubtedly a very well crafted song and sees another strong performance from Blake alongside a compelling overall production. In my opinion the real gem within Texoma Shore is The Wave. Whilst a lot of the songs on the album deliver a great lyric it is particularly true in this instance - Josh Osborne and Ross Copperman have created a really lovely story here. Further to the brilliant lyrical base of the track however, Blake's heartfelt, emotive vocal delivery helps to develop The Wave into what it has become here. Smoothly taking listeners through the ebb and flow of a song that is sure to really appeal to a lot of listeners, Blake sounds completely comfortable in a song that offers little opportunity to hide away. A lovely moment in the album and a track that deserves to be completely embraced and listened to time and time again - love it! Whilst generally I would say this is a very impressive album, Money falls short. Blake has released songs with verses that are basically spoken in the past and each time I've heard one I've been fairly underwhelmed and the same is true here which is particularly frustrating in this case considering the strength of the rest of the album. Unfortunately, if you listen closely to the lyrics they're also a little uncomfortable - it's a shame but one to skip past. Ultimately I've actually surprised myself with how much I really like Texoma Shore. 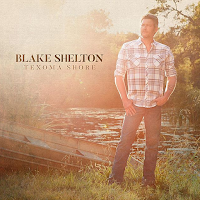 Whilst not an absolutely perfect album, Texoma Shore delivers a distinctly more appealing overall sound than Blake's last release and is an album I'm sure I will continue to return to. Very impressive, welcome back Blake! Labels: Blake Shelton "Texoma Shore"